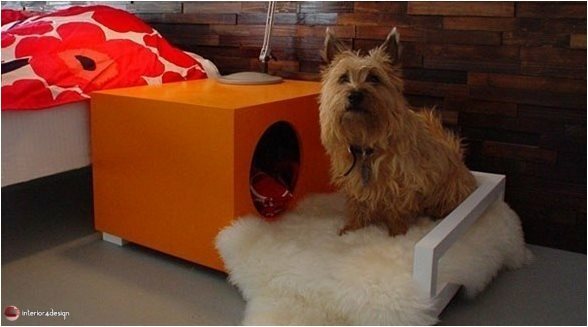 Many people like to buy pets such as cats and dogs at home, and try to provide the appropriate atmosphere, as if a family member. 1. 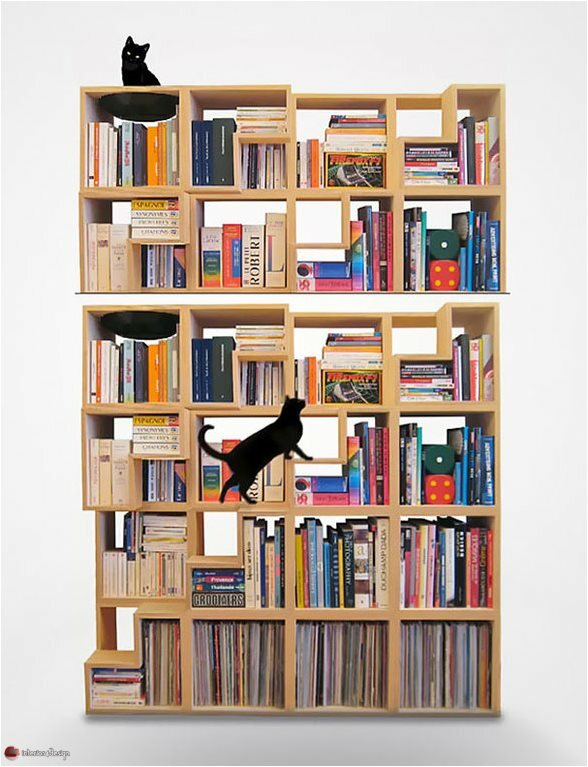 A library of cat-friendly books, some shelves where she can sit, and her hobby of climbing from one rack to another. 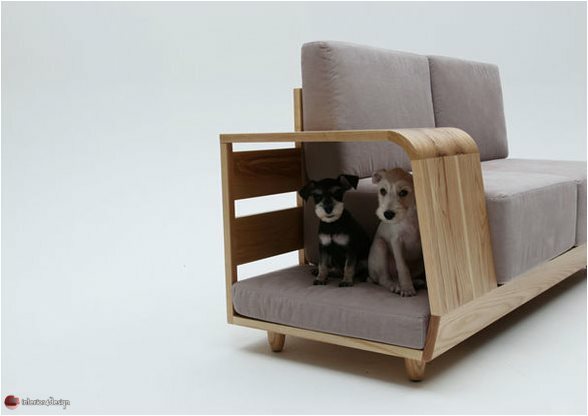 2 - Sofa suitable for lovers of dogs and pets, equipped with a small pond where these animals can sit and relax. 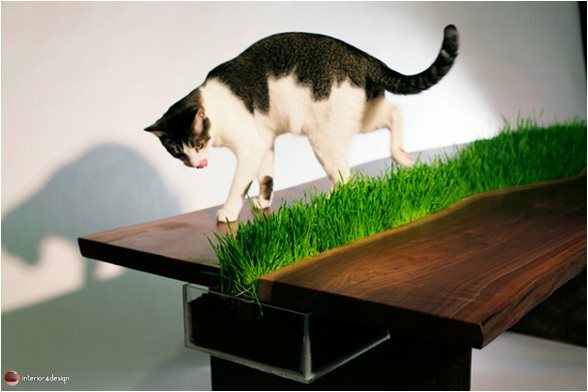 3 - Table grass suitable for cats, who like to play in places inspired by nature. 4. 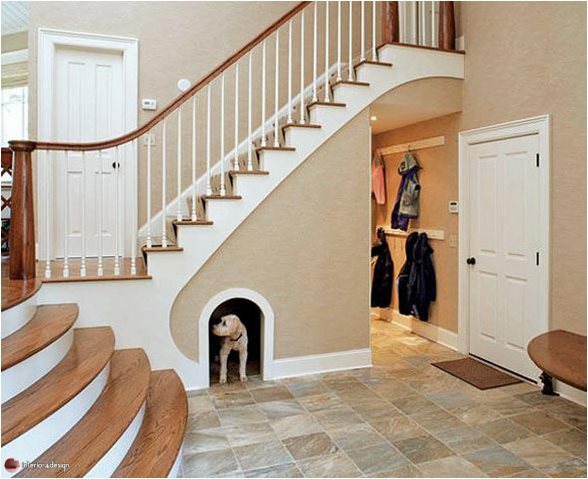 A dog house built with the wall down the stairs, providing a haven for your dog without occupying any space in the house. 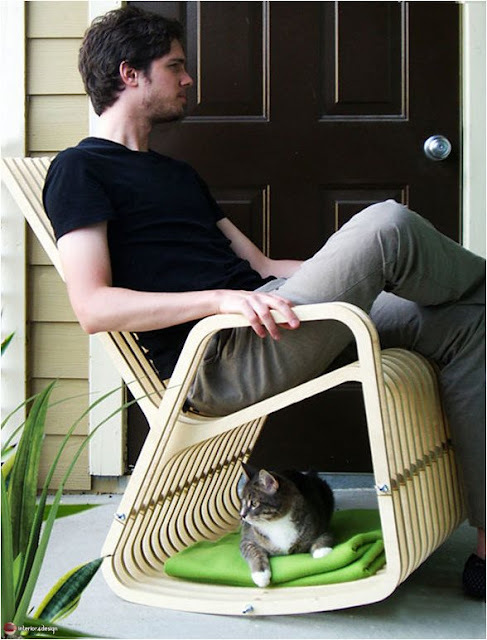 5 - Rocking chair for you and your cat, where you can sit and relax with her in the garden of the house. 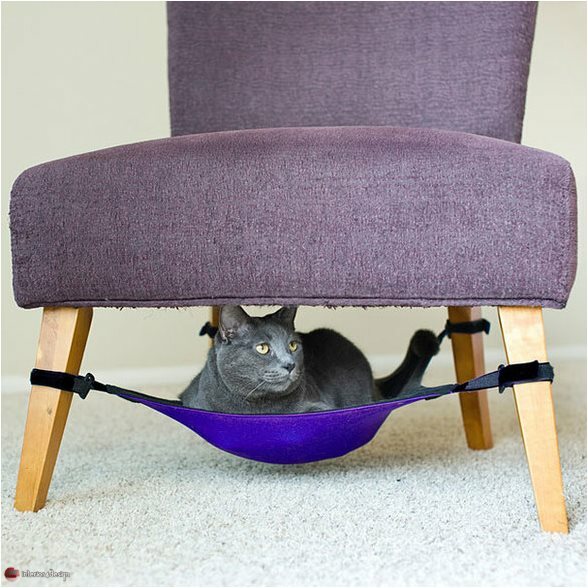 6 - A distinctive design for the convenience of providing a tunnel in cats and hidden from the eyes, and enjoy a special break time. 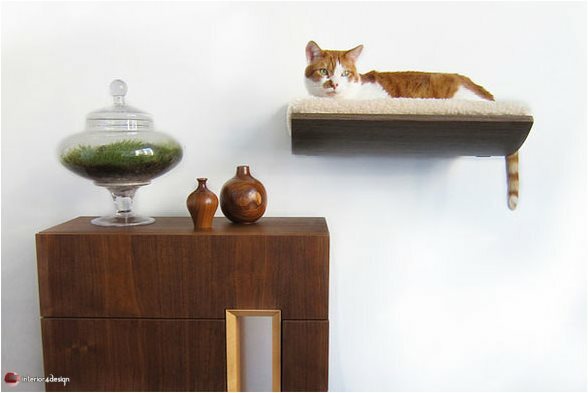 7 - Floating shelves installed on a wall that cats can sleep and relax on top of them. 8. 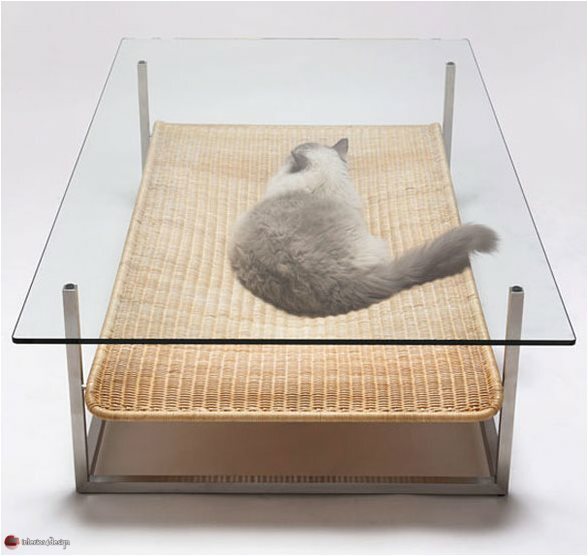 A bamboo shelf under the glass coffee table, where the cat can sleep comfortably. 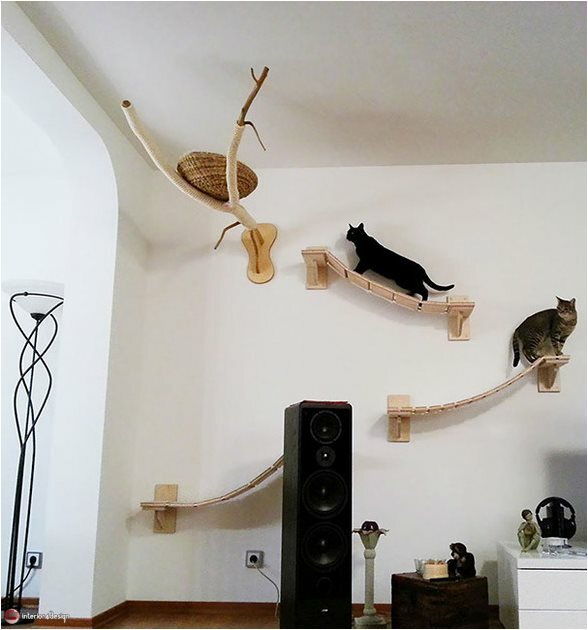 9 - Another way to give your cat a sense of bounty and excellence, through a simple swing installed under one of the wooden chairs. 10. Finally, these stylish shelves provide a place to play cats at home, without causing any chaos.